Happy Topsy Turvy Day, disney Fandom!!! 😘 ❤️. In honor of my favorito! fictional holiday, I created this collage last night 🎉 🎊 🎉. 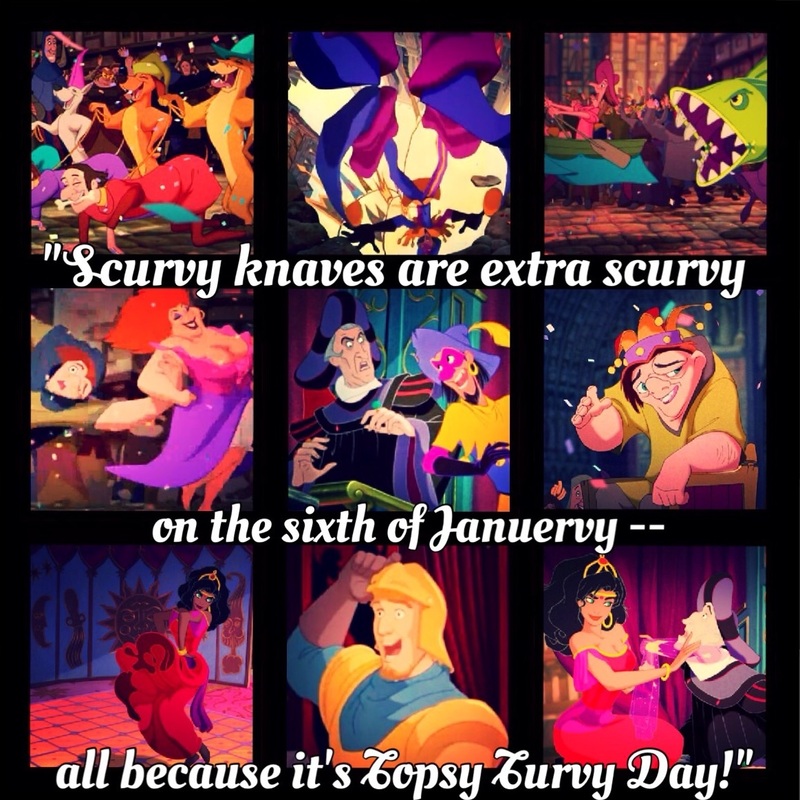 HD Wallpaper and background images in the disney clásico club tagged: photo the hunchback of notre dame esmeralda clopin phoebus quasimodo france sixth januervy january feast of fools. This disney clásico fan art contains vitral, tragaperras, un bandido armado, ranura, máquina tragaperras, máquina de monedas, and máquina de ranura de moneda. My parte superior, arriba 20 Classic disney cine .